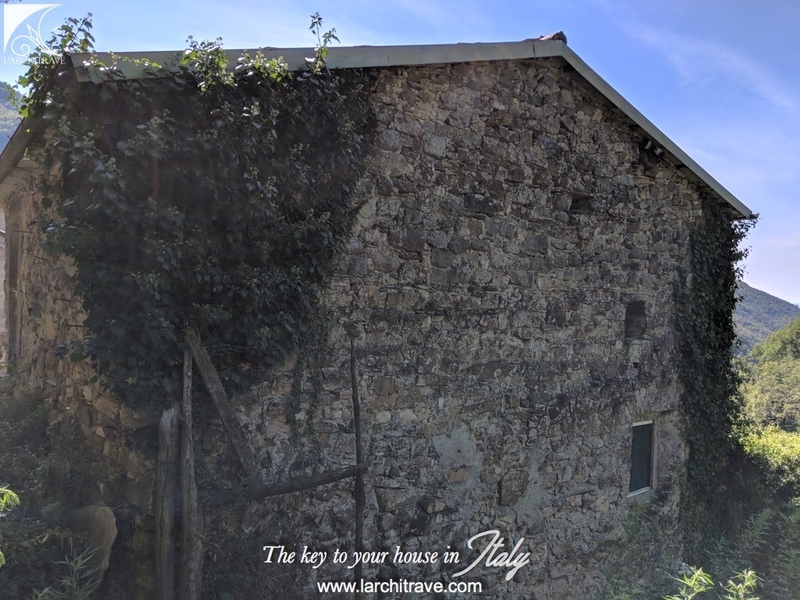 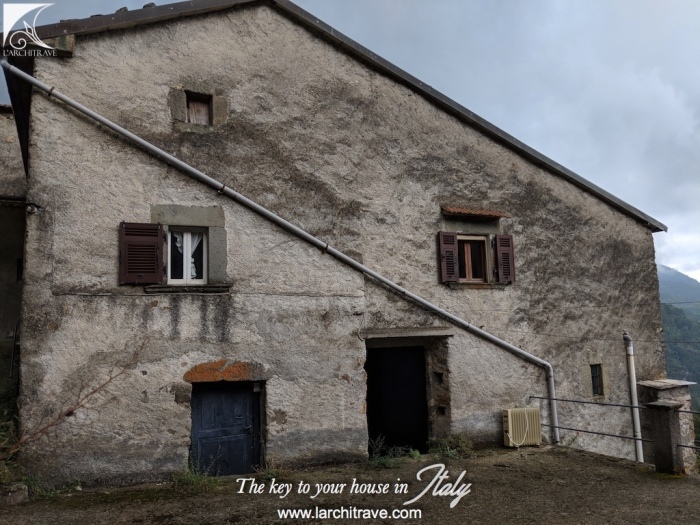 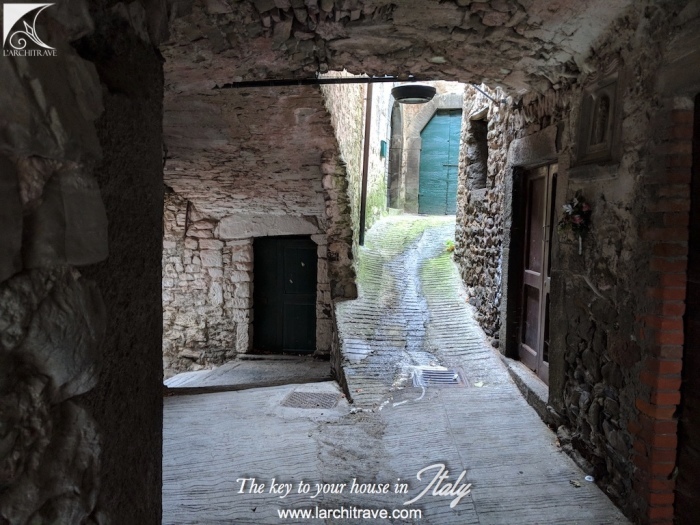 A house, a stone barn and a traditional 'essiccatoio' (chestnut dryer) set around a flagged courtyard, for restoration. 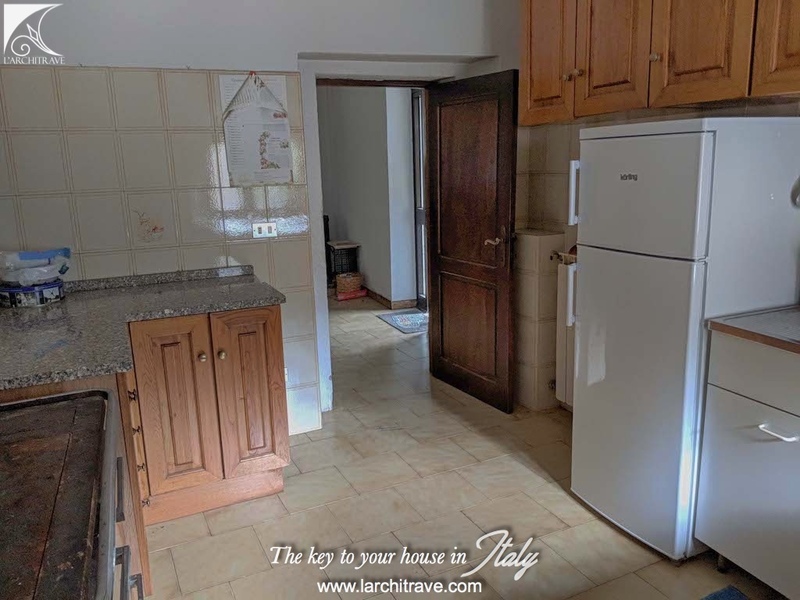 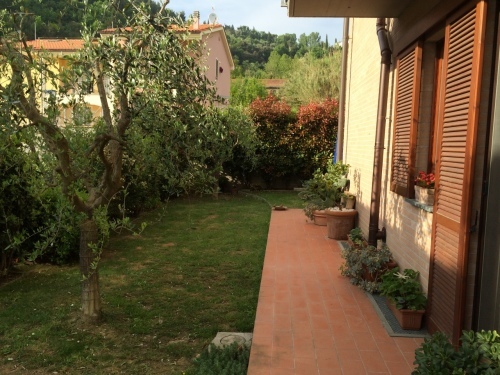 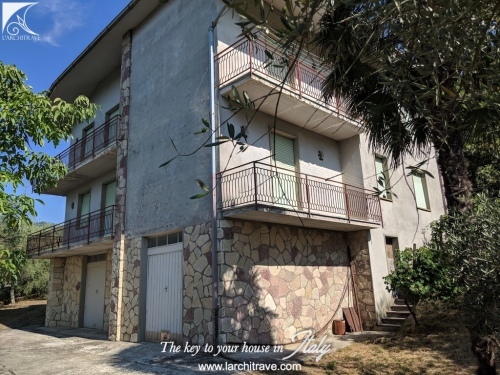 The properties are accessed after a short walk through the village to an impressive arched, gated entrance, to access a beautiful private courtyard. 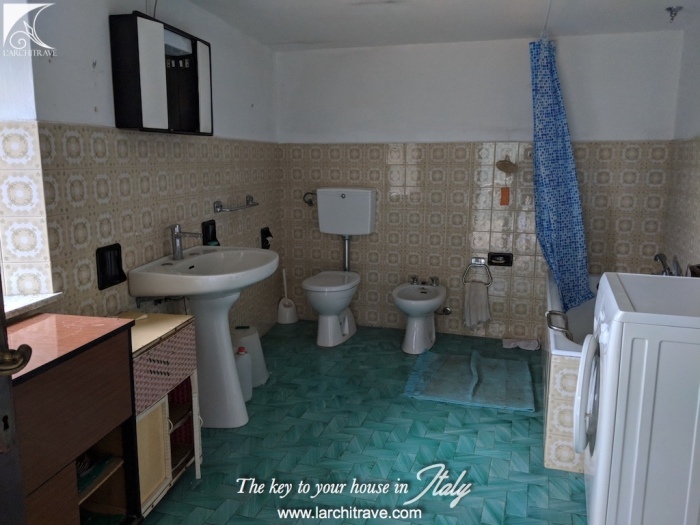 The main property is currently arranged on one floor and comprises a reception room, kitchen, two bedrooms and a bathroom. 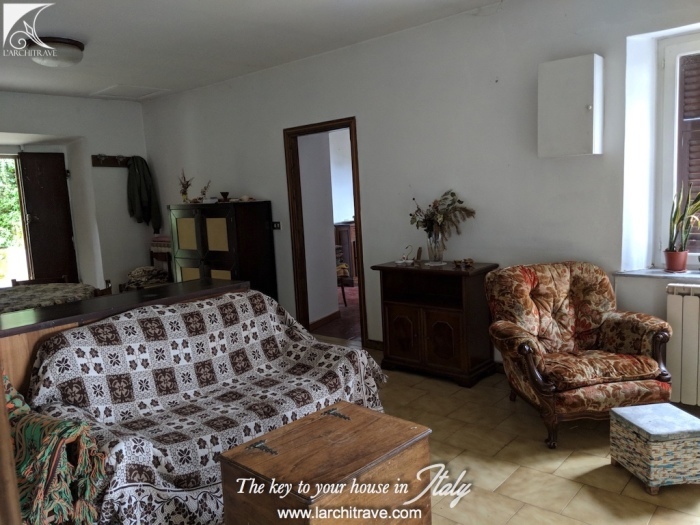 Wood burning stove in living room. 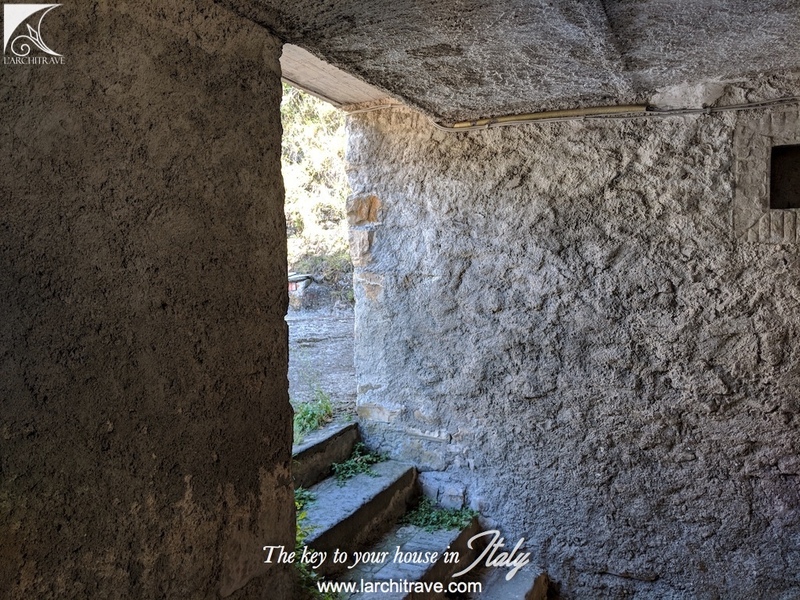 Below the main house are a number of 'cantinas', basement rooms, accessed from the courtyard. 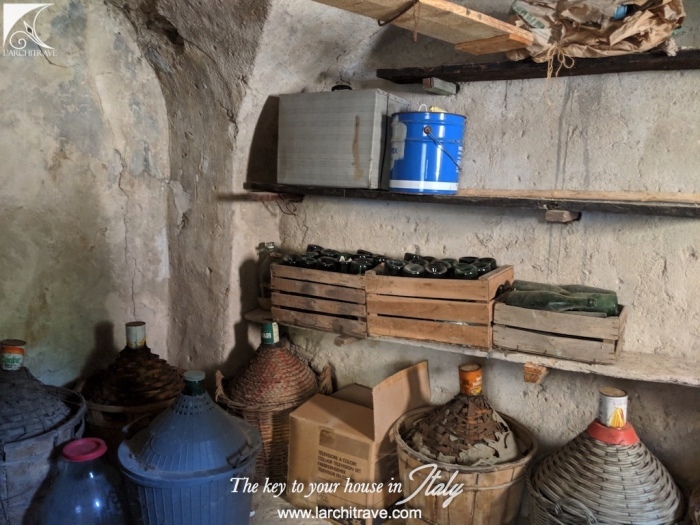 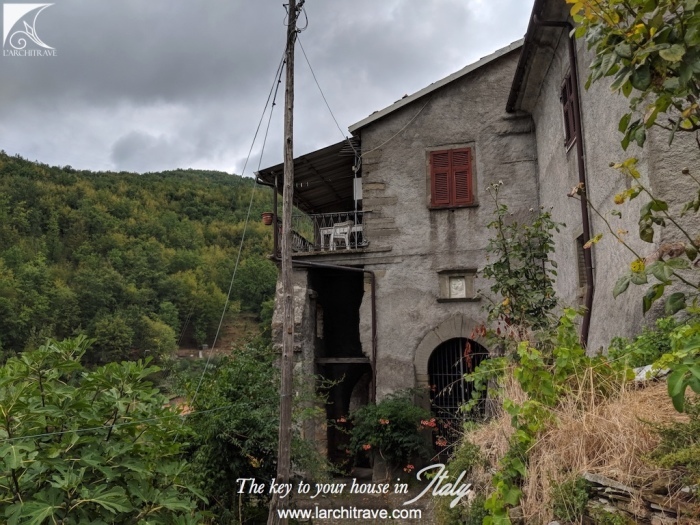 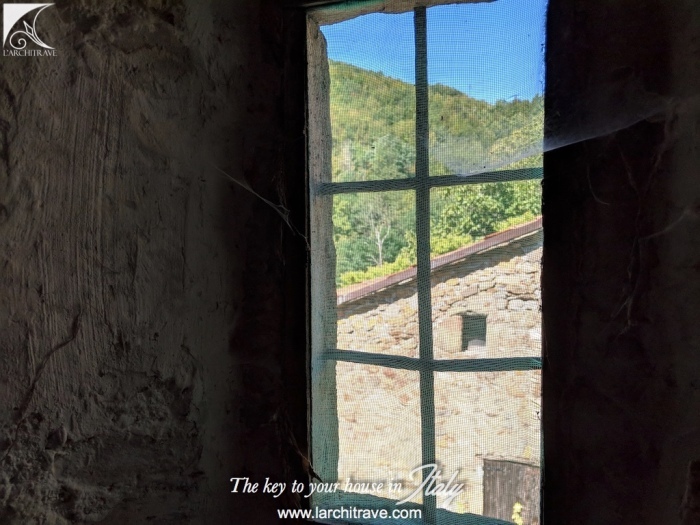 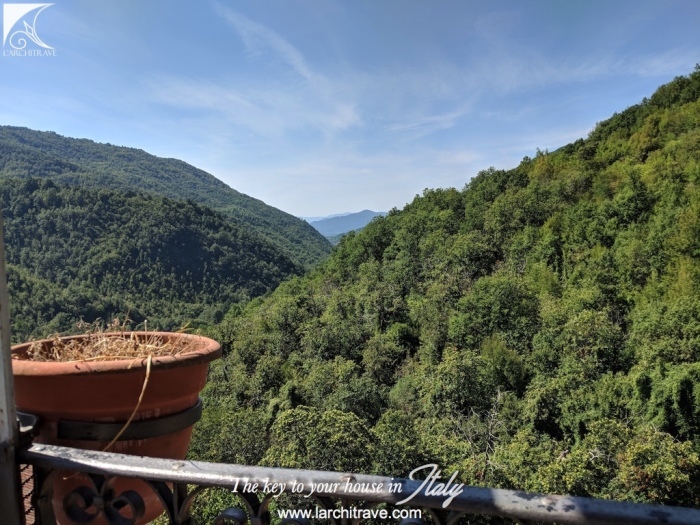 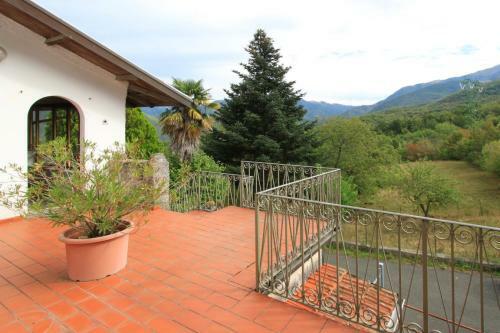 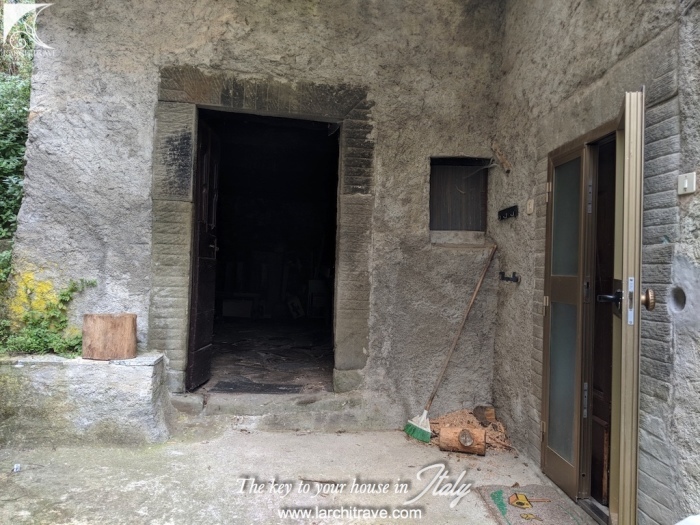 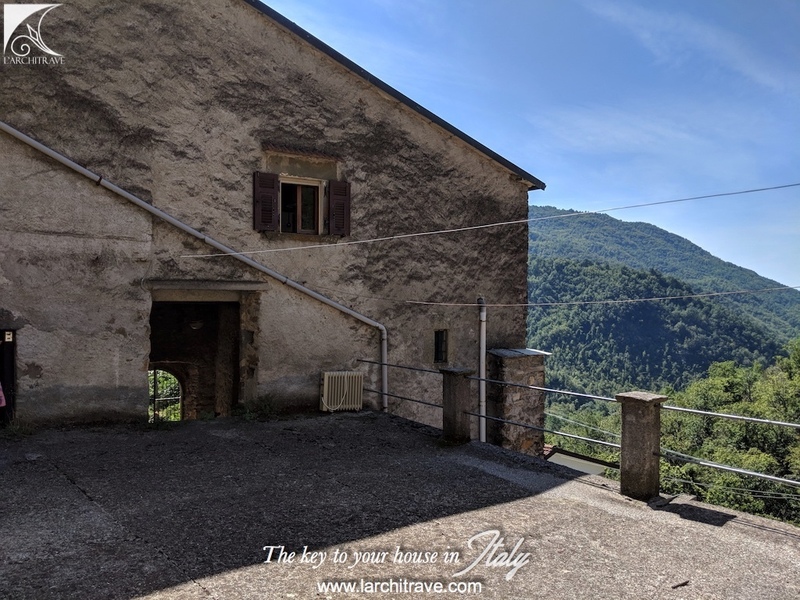 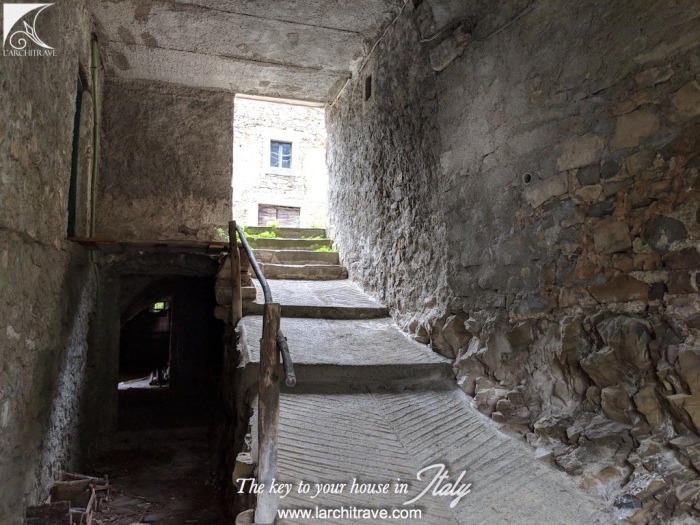 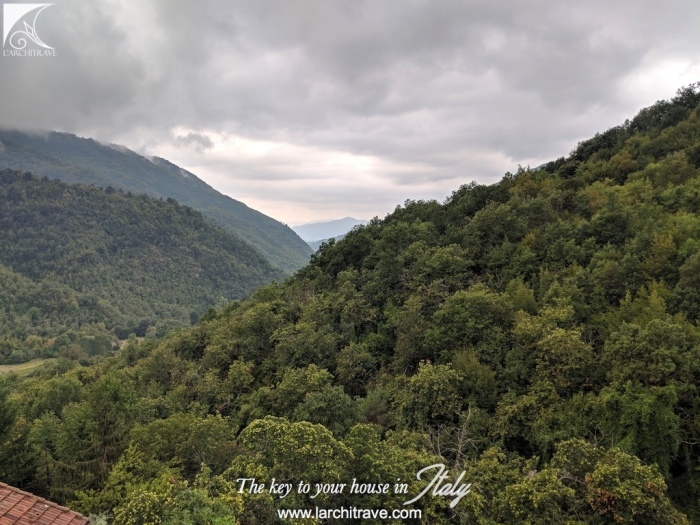 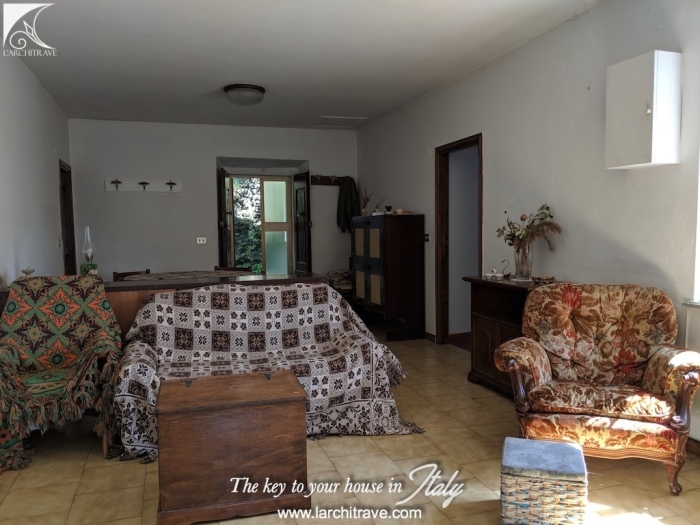 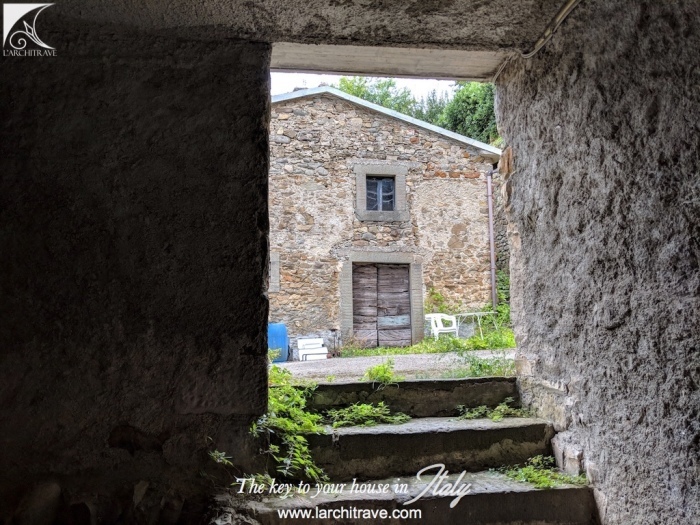 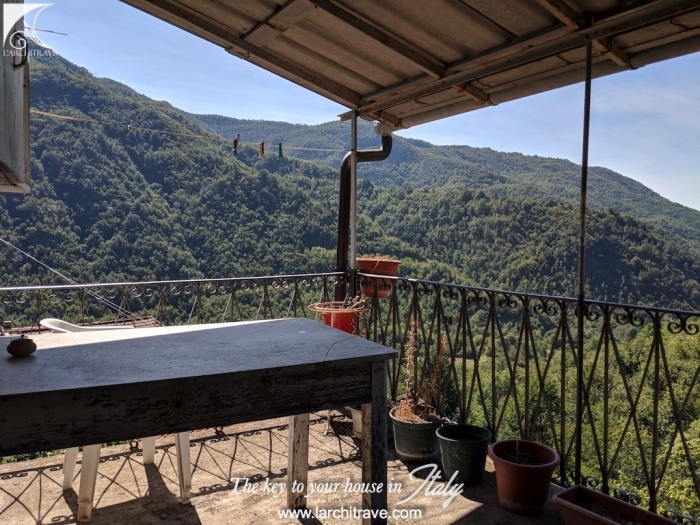 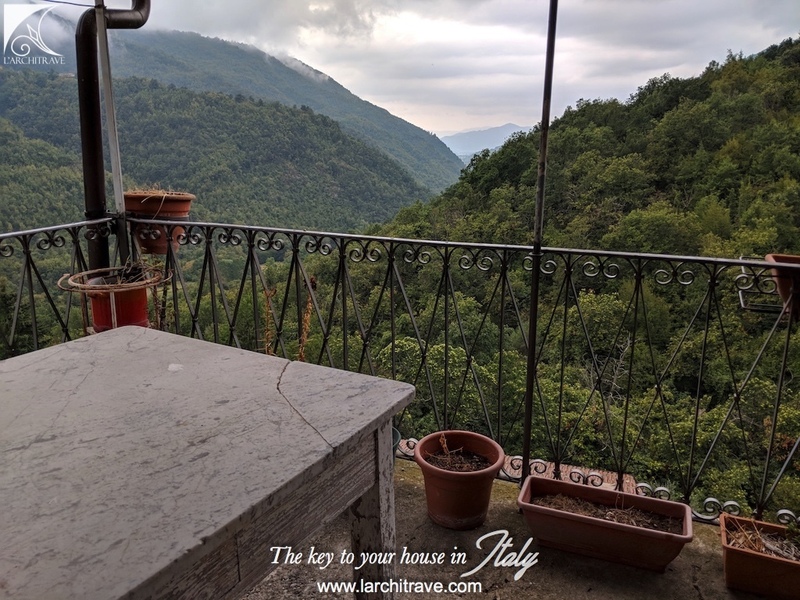 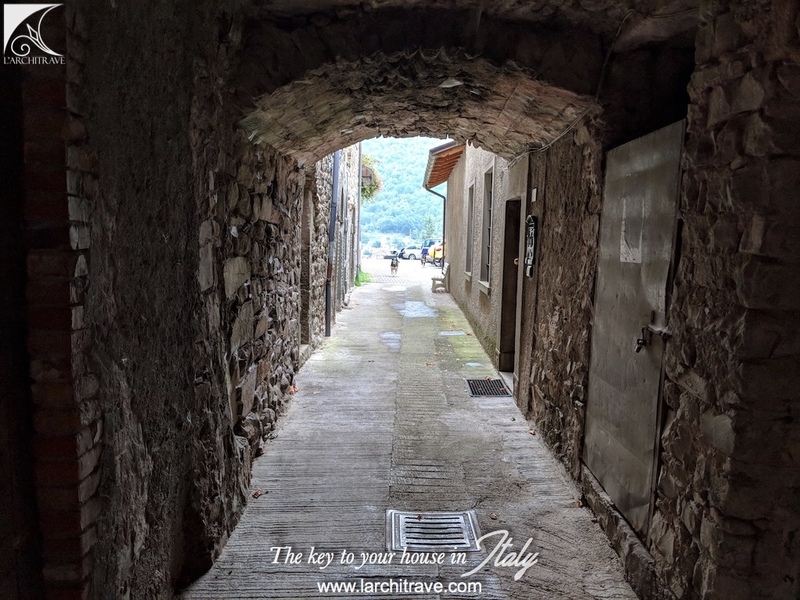 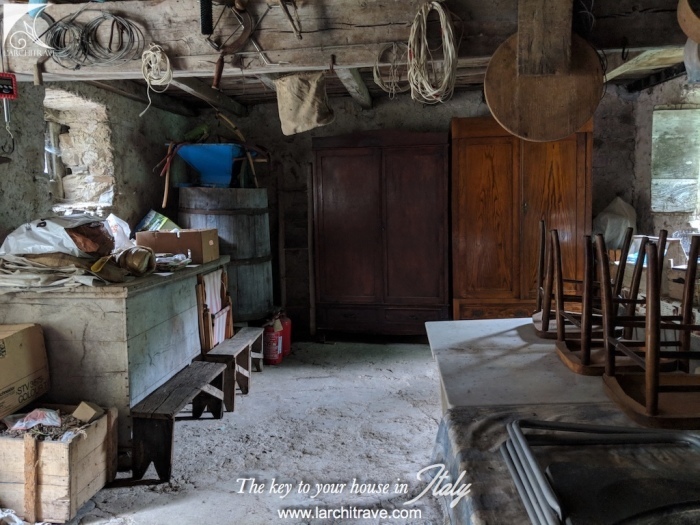 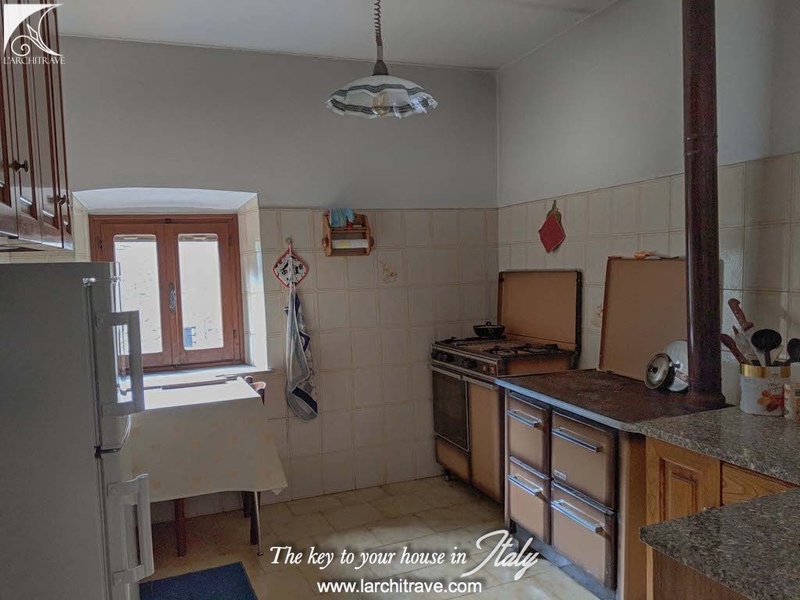 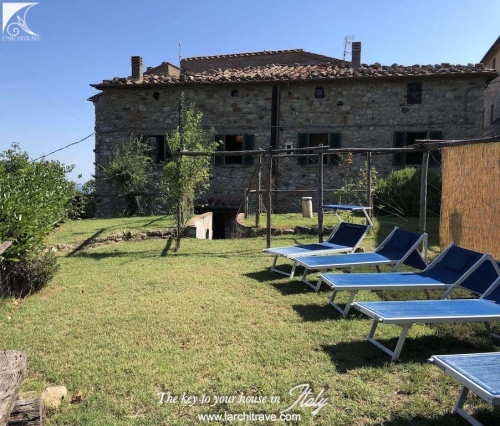 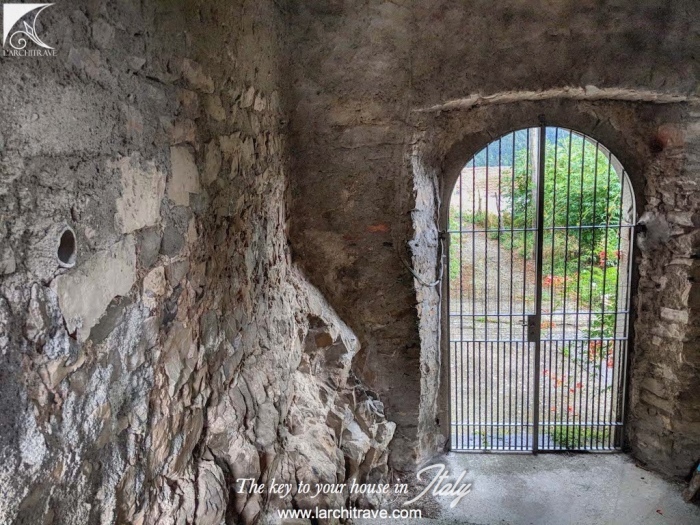 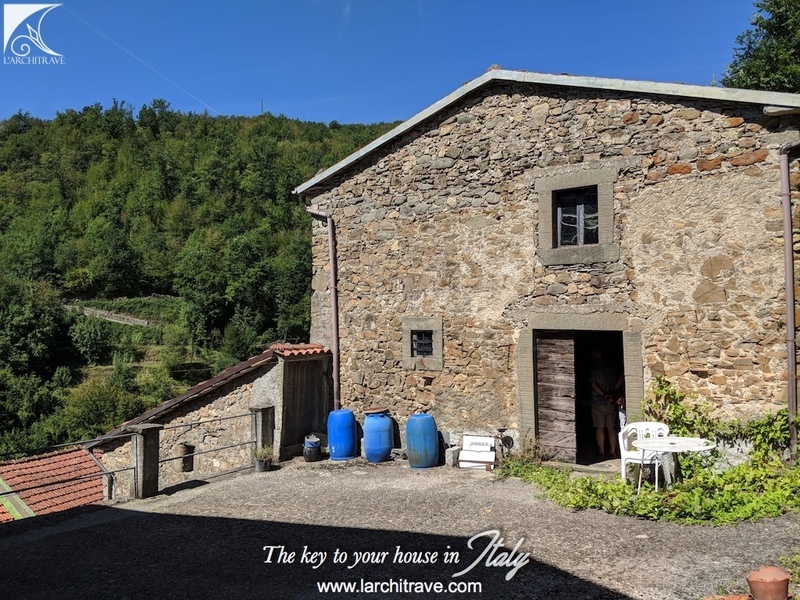 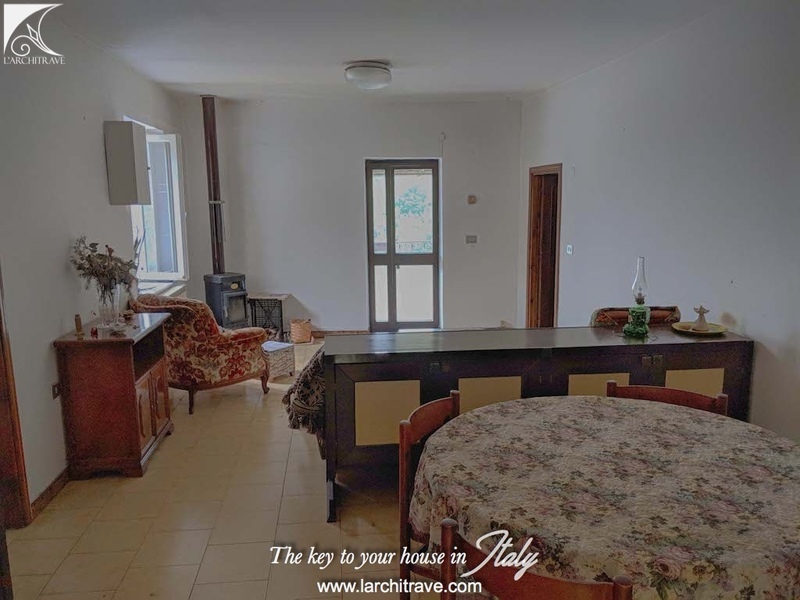 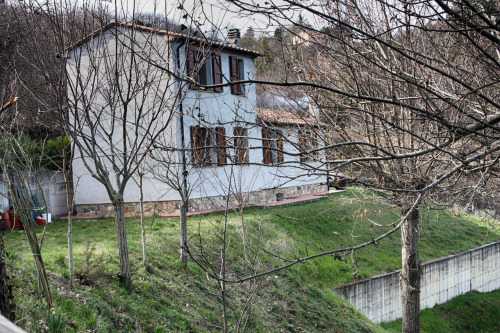 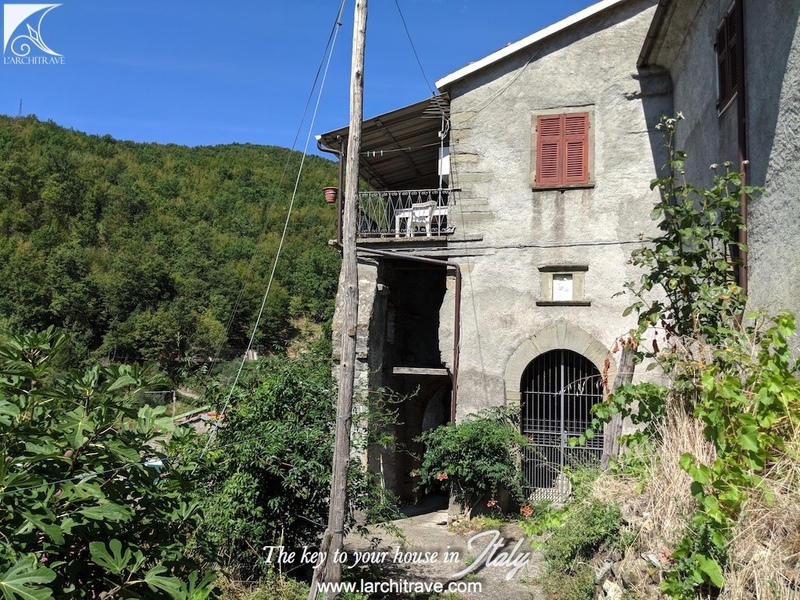 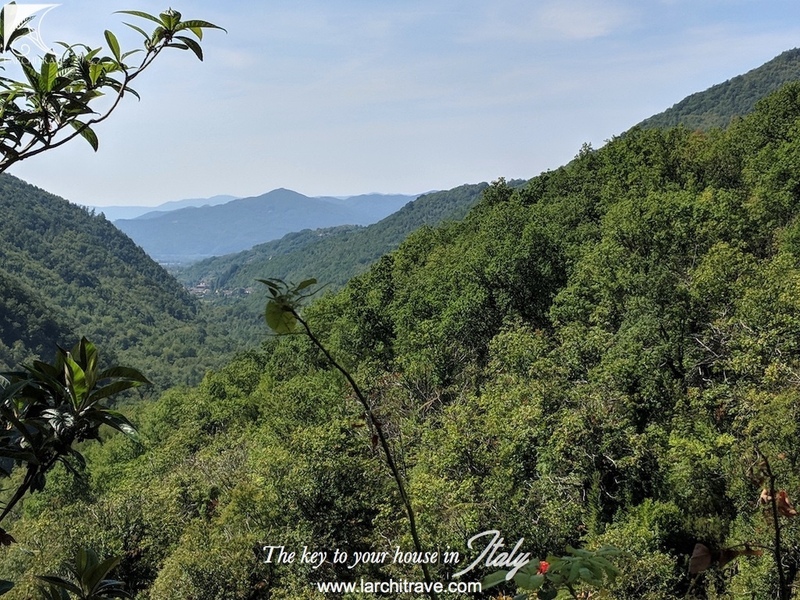 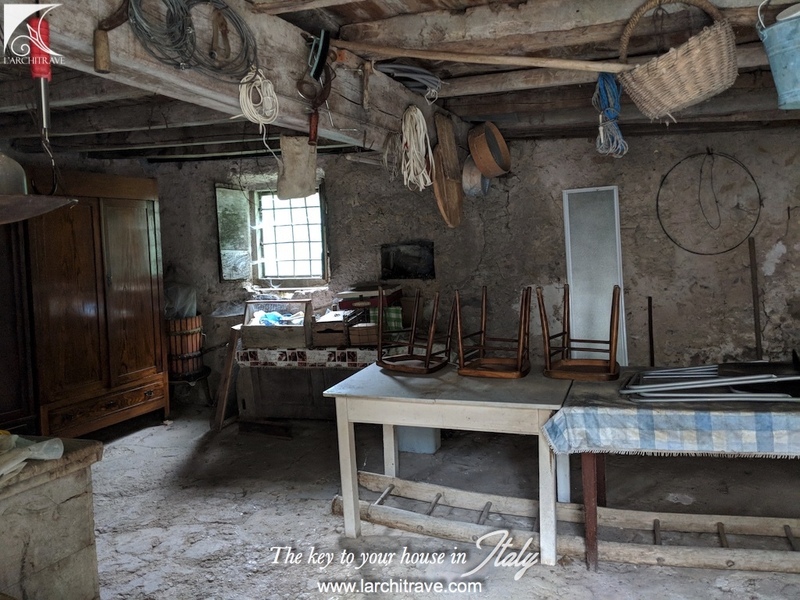 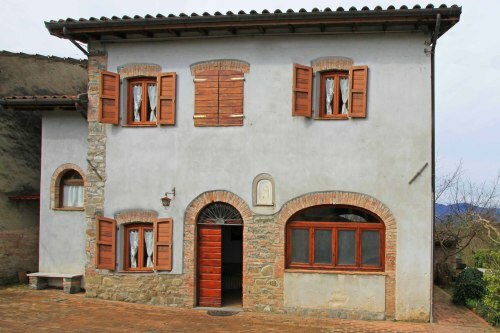 Next to the main house is a one room, double height 'essiccatoio' (a chestnut dryer) which is a fabulous example of old Lunigiana so could be retained, or it could make additional accommodation. 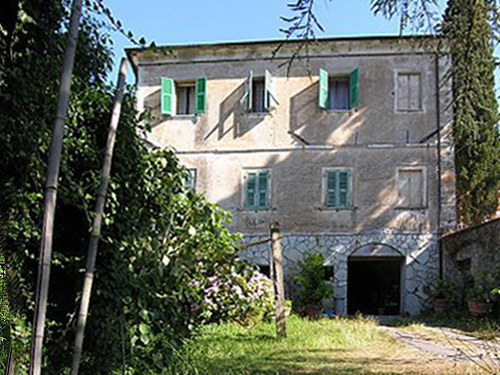 Across the courtyard is a substantial stone barn. 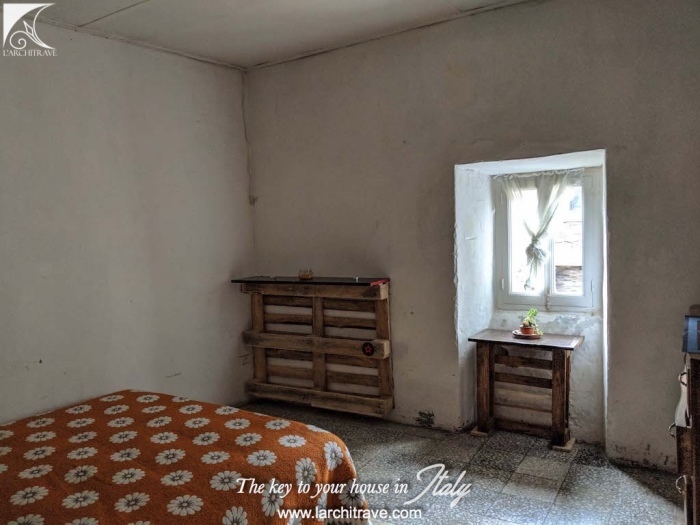 It is double height, offering two rooms on each level. 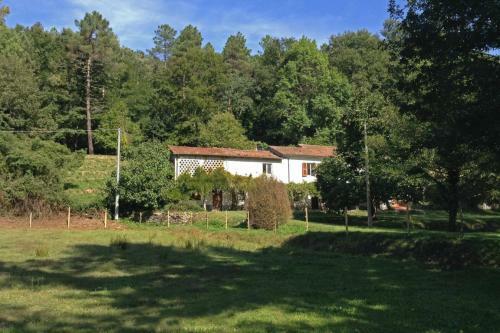 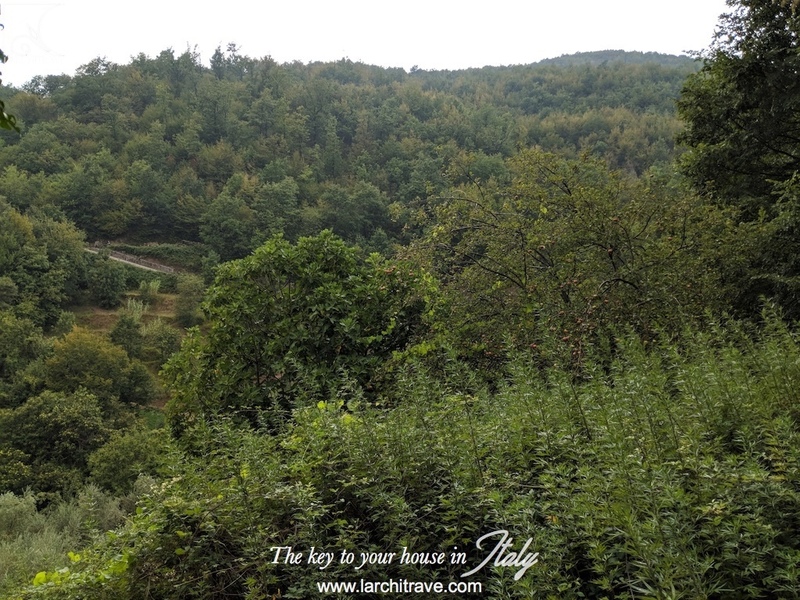 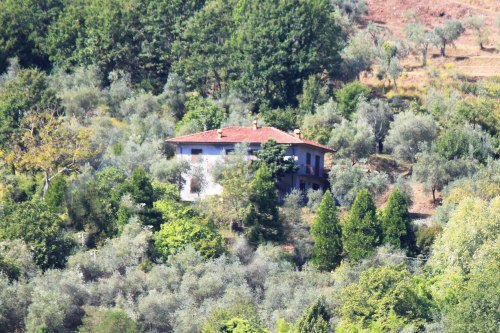 Behind the barn there is land on the hillside with a large fig tree and apple trees. 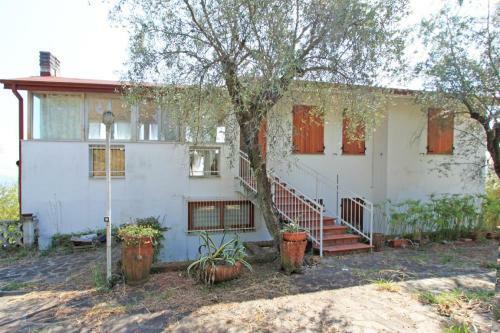 This could offer the possibility of a pool. 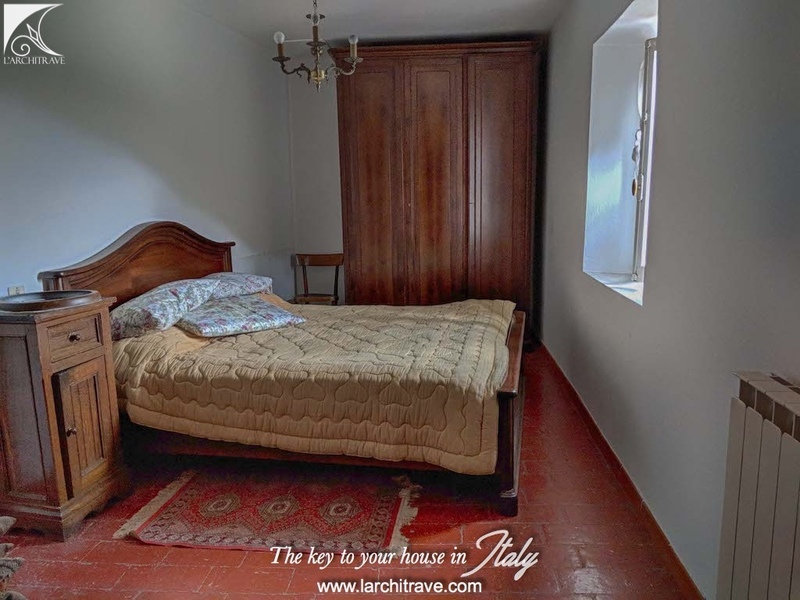 As part of the impressive arched entraceway there are three rooms, with beautiful arched ceilings , offering additional possibilities. 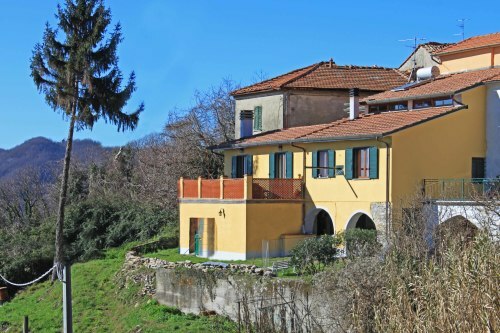 The entire property is privately owned under one title. No part is shared or communal. Services are connected: gas, electricity, water. Wifi is possible.